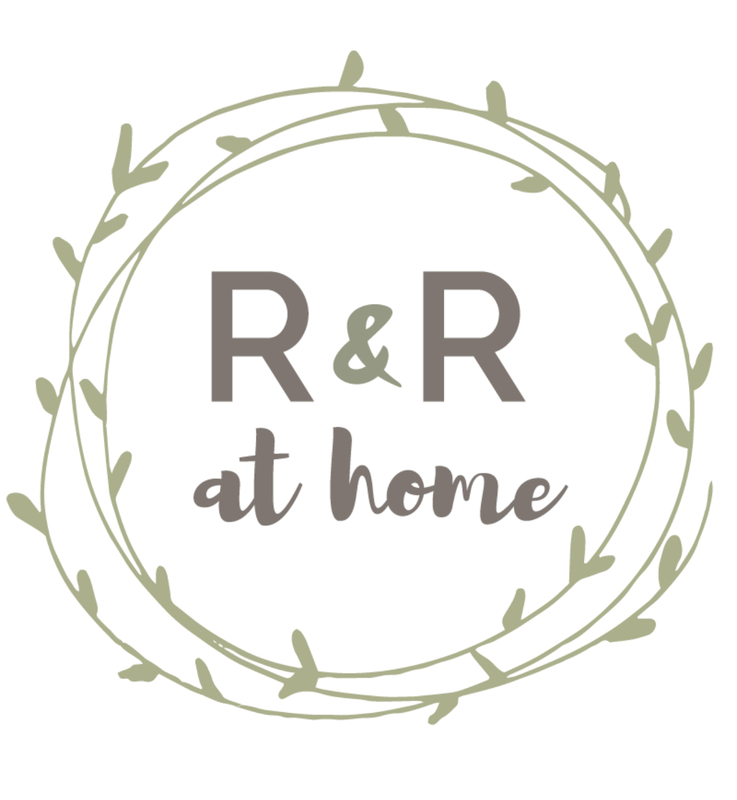 This is an oldie but a goodie- I absolutely love how Liz Marie transformed her patio using thrifted finds including this DIY patio coffee table! If you have the space this DIY outdoor sofa by Ana White is amazing! Or how about turning an old hutch into an outdoor bar! Want the look of a custom pergola without breaking the bank? 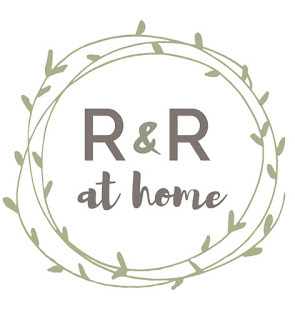 How about this amazing project by The Created Home! Looking to add a garden that doesn't take up too much of your green space? 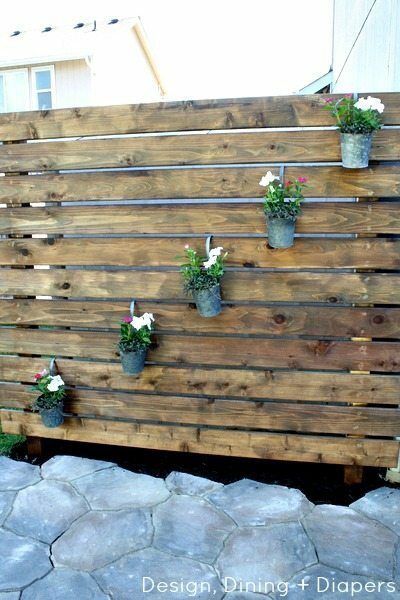 Houseful of Handmade has the perfect solution with this DIY Vertical Garden! Or how about this ingenius idea to create outdoor wall art using a shower curtain by Dollar Store Mom?! 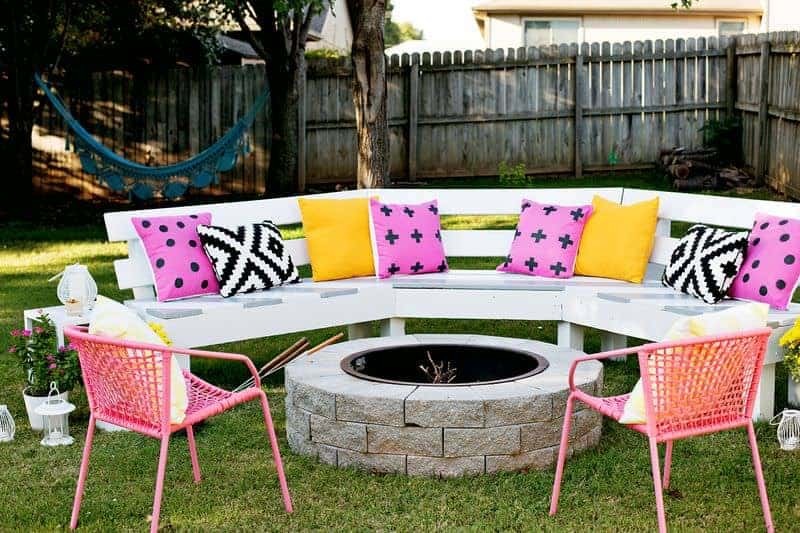 I'm loving this idea to build a bench around a fire pit! 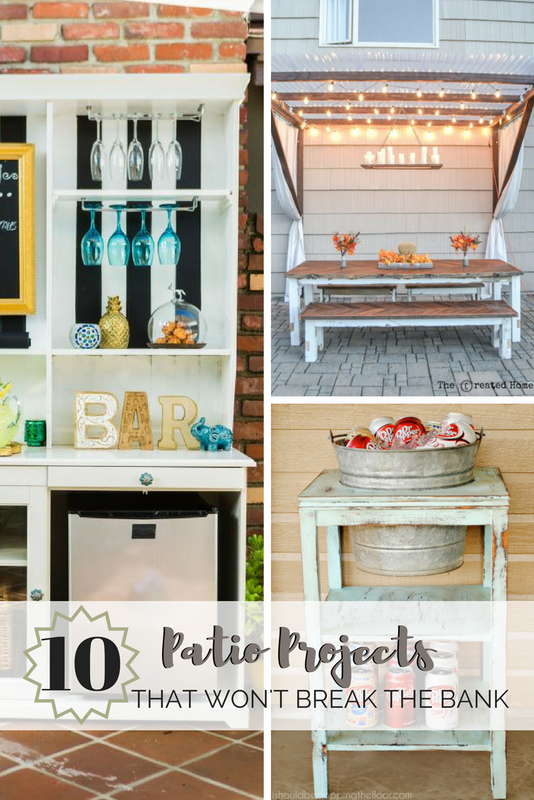 This is a great option if you don't have a patio or deck! Here is an idea I will definitely be using! Making planter posts to hang string lights! They say that fences make great neighbors (it's definitely on my wish list) but here is a great solution for blocking out neighbors... I mean, getting a little privacy! 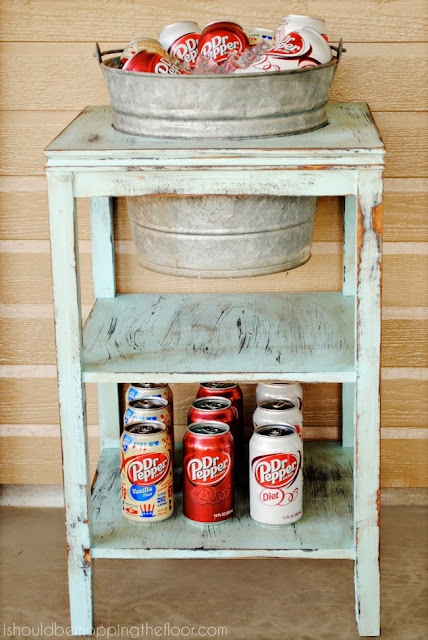 And last but not least, once you have your patio complete what better way to entertain guests than with this adorable DIY Beverage Station by I Should Be Mopping The Floor! Which idea is your favorite? I know I will definitely be trying a few of these!